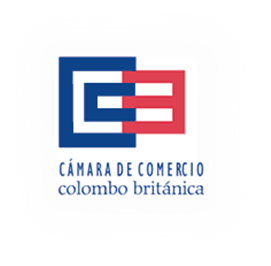 The Colombian British Chamber of Commerce is the leading organization dedicated to promoting bilateral trade and investment between the UK and Colombia. Founded in 1981, is a nonpartisan, not-for-profit institution with headquarters in Bogotá, Colombia. The Chamber has been playing an important role in strengthening ties and understanding of bilateral relations among our affiliate members, by fostering partnerships among governments, businesses, nongovernmental organizations, and private citizens. The CCCB is a member of Britlan, the international network of British Chambers of Commerce in Latin America, which operates in 11 countries. It also works closely with the other Eurochambers in Colombia. • Market reseach for exporters interested in the British or Colombian Market.